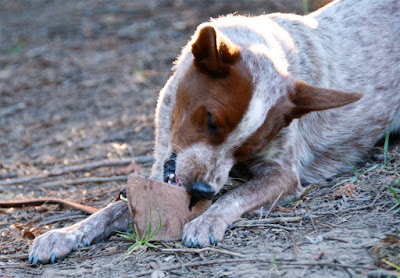 Ruff Roots are durable dog chews made by the Himalayan Dog Chew company. Harvested in Italy, these are created from tubers grown on the roots of a certain type of shrub. Ruff Roots are harvested without harming the plants, making them highly sustainable. While these are basically a chunk of wood, they don't splinter like a stick or a two-by-four. Ruff Roots come in four sizes for dogs under 20 lbs, dogs under 40 lbs, dogs under 65 lbs, and dogs over 65 lbs. Ruff Roots are made of wood, but it's a special part of a woody shrub that crumbles rather than splinters. These are usually cut to provide at least one corner that can give your dog that irresistible feeling of chewing on the corner of the coffee table. At ten months old, Sisci is well past the teething stage, but she still loves to chew on stuff. She's pretty good about limiting herself to dog toys and things that kinda look like dog toys, but she can't always resist the coffee table. I think it's because it's right at the same height as her mouth, makes it easy to absently gnaw on those corners. This isn't our favorite chew toy for a few reasons. It doesn't taste particularly good. It's too heavy and clunky to play fetch with. Still, it's one she enjoys when the mood takes her. I appreciate that it's digestible and not made from plastic or full of questionable ingredients. Pros: Highly appealing for furniture-eating dogs. 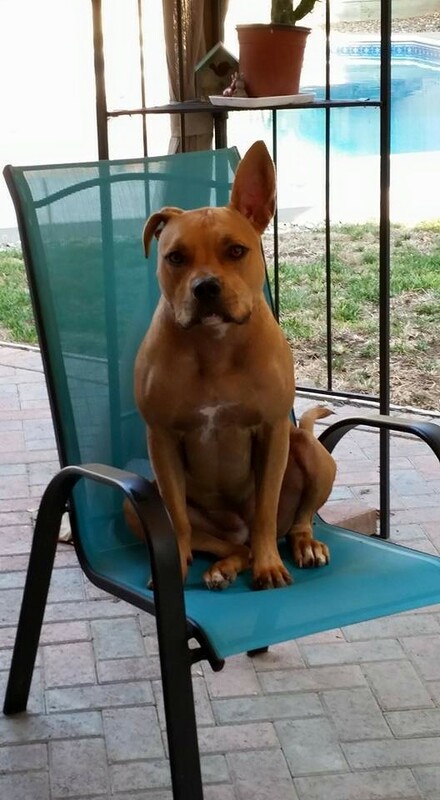 Provides an appropriate outlet for dogs who can't resist the corners of the patio furniture. Highly environmentally friendly, sustainable and biodegradable and stuff like that. Cons: Really heavy, not awesome when a puppy brings it over and drops it on your toe. Not a slam-dunk for every dog, some just don't see the point. Makes a crumbly mess when a serious power chewer embarks on a mission of destruction. Kind of expensive for a chunk of wood. Bottom Line: For serious chewers, this may be the answer. A lot of people say their power chewer has had one for months without tearing it to pieces. 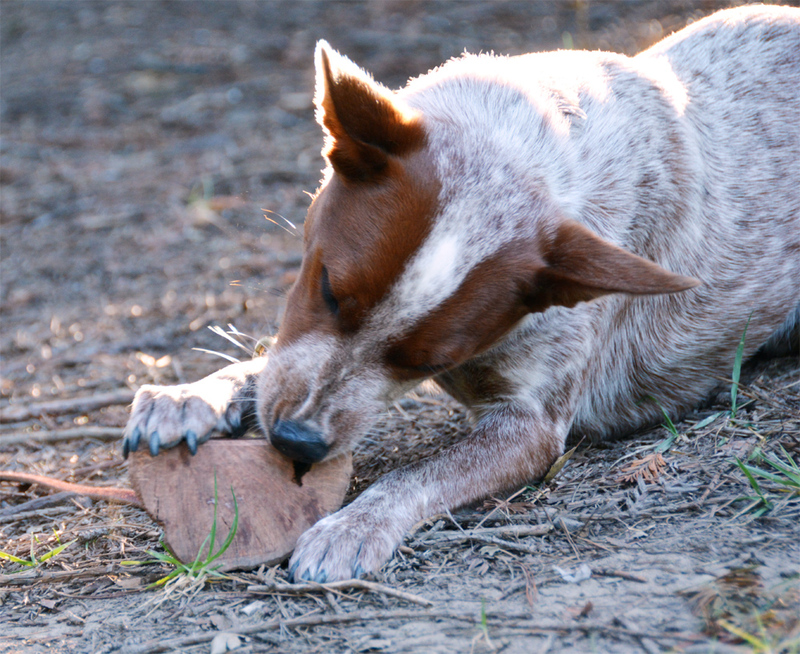 Does your dog enjoy chewing sticks or furniture? American Journey Bully Sticks are made, sourced, and packaged in the USA, which is a bit unusual. Our favorite bully sticks are from Red Barn, and theirs are made in Paraguay in their own facility. We got these frm Chewy.com because they were such a killer deal, a buck or two per stick. How cool is that?! Surprisingly, not quite as cool as we were hoping. I am used to buying big fat bully sticks nearly an inch thick that take the dogs quite some time to work through. I should have read the reviews for these ahead of time because I was quite disappointed when they arrived. Super high-quality? Definitely. Domestically sourced, packaged, and produced with maximum integrity? Absolutely? Long-lasting and satisfying? Not so much. They're about at thick as a pencil and serve as more of a quick snack than a lengthy chewing project. Good For: Briefly distracting the dogs while I leave for work. Keeping very small dogs busy chewing. A quick snack for bigger dogs. Not Good For: Keeping Brisbane and Sisci somewhat entertained while I am at work. How Much We Like Them: I doubt I'll order more, but Chewy mysteriously sent me a package of them after a left a review expressing my disappointment. No explanation. Still trying to figure that out. The dogs certainly aren't complaining. 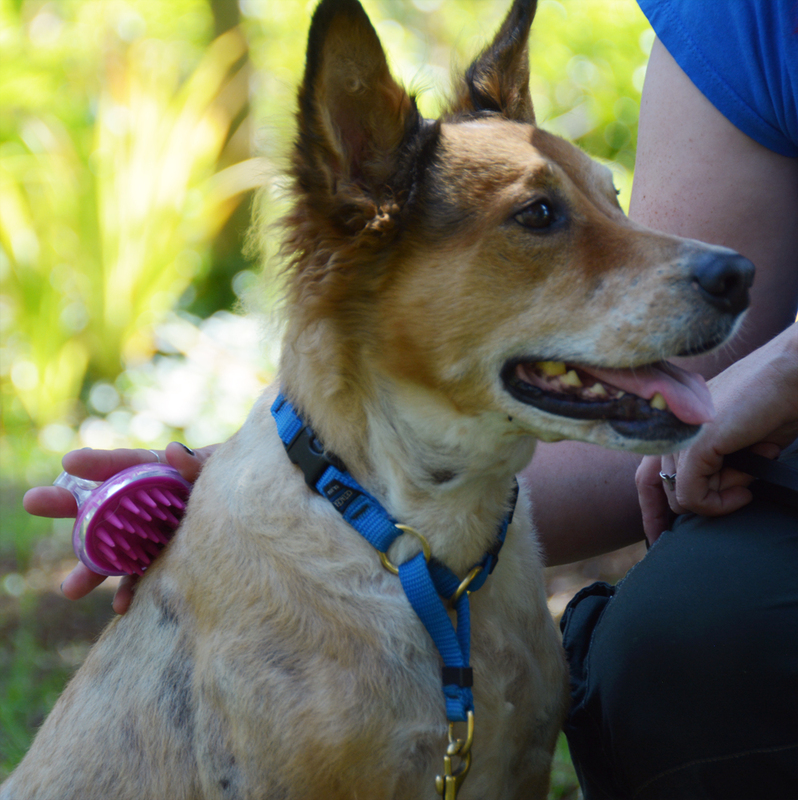 The Dogline Comfort Round Martingale Collar is a soft and gentle on sensitive coats. The round design slides easily into the hair and remains secure but unobtrusive. It is durable enough for a trip to the beach, and the simple design should keep it looking nice for a long time. This collar comes in eight colors and seven sizes to fit dogs with heads 14-26" around. Our photographer friend Erin likes to set up nice shots of the products I review, and she's always telling me to use less bright and loud collars. "That bright purple collar is very distracting when we're trying to showcase the leash." 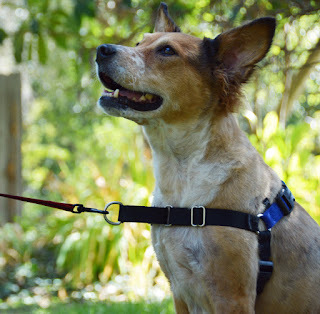 Brisbane backs out of flat collars, so he usually wears a harness or a martingale. Big wide collars distribute pressure better, but I wanted something small and subtle. I found this Dogline microfiber martingale collar at our local feed store. It is thin and round, so it slides into Brisbane's coat. The black color isn't attention-grabbing, and the whole things fits very well. It has a relatively small martingale loop 3" long. This means it doesn't hang too low when loose, but has just enough space to slip over Brisbane's head. Pros: Soft and gentle on delicate skin and hair. Round design means minimal friction and less hair breakage. Practically invisible. Cons: Practically invisible, so it can be hard to find when I don't put it away properly. Super thin collar concentrates force and can put a lot of pressure on the dog's neck. Not adjustable at all, I am just lucky the 18" one fits Brisbane perfectly. Bottom Line: This collar will be appearing in a lot of our product photos. 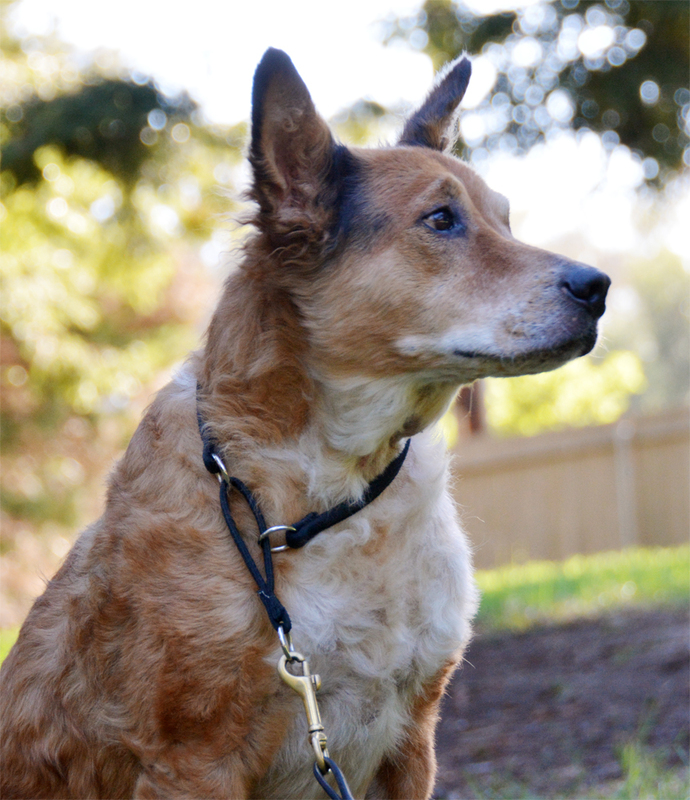 What is your favorite collar for your dog? The SPOT Seek-a-Treat Slide 'n' Swivel by Ethical Pet is a board game style puzzle toy for dogs. The toy has a total of eight different hidey holes for treats, covered by sliding and swiveling lids. The center sliders are particularly challenging as they all slide into the space in the middle and therefore only one can be opened at a time. The Slide 'n Swivel has puzzle-piece attachment points on each side that allow it to be connected to other puzzles for more fun. 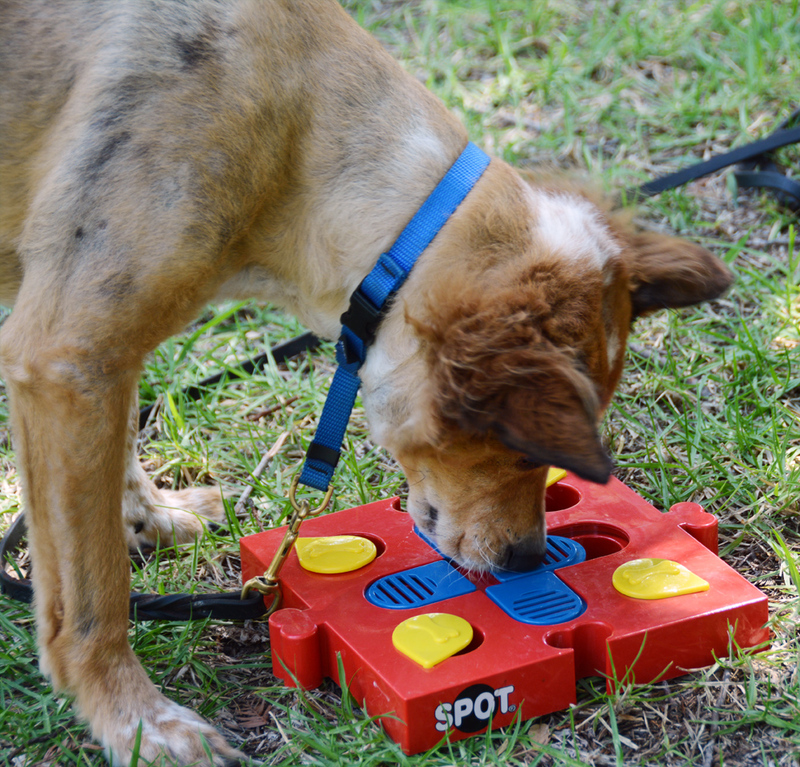 Ethical Pet makes one other puzzle with this feature, the Flip 'n Slide. Brisbane figured out this toy right away, as usual. The only issue we had was that he was quite certain the blue sliders were meant to be pulled off with his teeth. They have openings that allow him to see and smell the food, and also to get a good grip and yank. Close supervision was required so I could redirect him when he really looked like he might break the thing. Each compartment holds a few kibbles, I might be able to get a little more than a quarter cup in here. This is definitely an interactive project and not for independent play. It's really, really easy to load up a tiny amount of kibble. This was the first board game puzzle Sisci has encountered, and it took her several minutes to figure it out. Even with his desire to rip off the blue sliders, Brisbane emptied this toy in mere minutes. The photo above was the first time he had ever seen the Slide 'n Swivel, and he figured it out immediately. This toy is not heavy and does not have any large moving parts, even Ru would be able to use it if he actually liked food. Briz and Sisci were both able to use it easily, but they could also lift and toss it if they felt inclined. A large dog may have trouble moving the small parts. It held up to some light biting and pulling, but the plastic feels pretty flimsy and I'm not sure how well it will hold up to further abuse. It slides along my hard floors, and rattles a little bit. The plastic is much harder and noisier than our other puzzles. Close supervision means we never lose it. All the small moving parts make it a bit annoying to clean, but I can reach all the nooks and crannies to get it really clean. We borrowed this one from our friend Xhuuya the raven, she likes all the little moving bits and foraging for nuts. Medium and large parrots can probably use it, and rats and ferrets may also enjoy it. 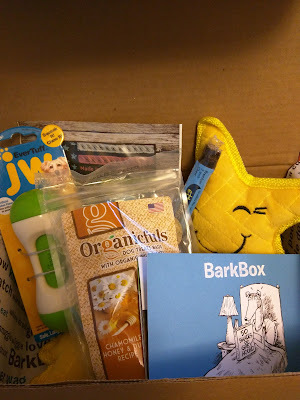 Our September BarkBox finally arrived yesterday! Unlike all our previous boxes, this month's did not include a card detailing the contents. Instead, the card directed me to visit BarkBox.com/MyBarkBox for a rundown of all our goodies. Many of our boxes have included corrections of the printed cards, and I know there is a lot of variety sent out each month so it's probably tough to keep track. Makes sense to put the same card on everything. This month didn't particularly have a theme, and that's ok. We're expecting a whole bunch of winter and autumn-themed everything over the next few months even though it's projected to be 80+ degrees and oppressively humid here till January. Not that I'm bitter. I would not have been happy to see the PetMate JW Pet Squeaky Barbel before Sisci joined us, but she is determined to play with All The Toys and started carrying it around and gnawing on it right away. Sisci also happily adopted the BarkMade Shooting Star stuffy. It's not as cute as our P.L.A.Y. star stuffy, but it's not terrible. We got a tasty EttaSays Rabbit Chew which I'm sure Brisbane will devour as soon as I hand it over. The Lamb and Kale soft treats are BarkBox exclusives made in the USA by Delca. They look like they'll be good for training. Those Chamomile, Honey, and Duck biscuits by Organicfuls look delightfully soothing. Sadly, Brisbane can't have them because he is allergic to duck and poultry. These will probably go to a coworker's dog. After sending me a packet of food samples a while back, Wysong followed up with an email asking how we liked them. They also sent some coupons, including one for free shipping. I took the opportunity to order a bag of Archetype Rabbit freeze-dried food, and some Epigen Venison. Epigen is touted as a starch-free kibble. The process used to make kibble generally requires a starch ingredient, otherwise it would just be dried meat like Ziwi Peak. Traditional kibble uses corn, wheat, rice, oats, or grain byproducts like rice hulls and wheat middlings. Grain-free kibbles use alternative starches like potatoes, sweet potatoes, lentils, garbanzo beans, tapioca, and quinoa. So how does Wysong manage to make a non-jerky kibble with no starch? The key is protein isolates. These are basically pure protein. Did you know that potatoes have protein? Apparently it is possible to extract just the protein, leaving behind the starch. Who knew? Wysong also uses "meat protein isolate" which is an industry-sanctioned term that means protein isolated from pork. This was a concerning ingredient for me originally. Tons of dog food companies use chicken fat in their otherwise poultry-free products and claim these are allergy-friendly because it is the protein that causes the reaction and there's no protein in fat. Knowing what I know about the dog food industry, I barely trust them to actually label things accurately. I definitely don't trust them to make sure there's not even a little bit of protein in that chicken fat. No thanks. But it's cool, because Wysong goes ahead and tells me on their website that their meat protein isolate is derived from pork. That means it's safe for Brisbane's chicken, turkey, duck, and egg allergies. They also claim that this protein is so pure and easily used by the body that it is unlikely to cause allergic reactions. This is kind of interesting, since I'm used to hearing that protein is totally what causes allergic reactions. I should probably research this further, but for now I'm pleased that this is something Briz can eat. While this is a starch-free food with powdered protein bits taking the place of the carbohydrates, there are a couple of pulpy plant ingredients in there. Beet pulp and tomato pomace are both on the list. These provide fiber for optimal stool quality, as well as supplying various vitamins and antioxidants, and improving the gut flora environment. Predictably, Brisbane loves Epigen Venison the same way he loves all food. Sisci was also a fan. Ru won't eat it reliably. I can sometimes convince him to have a few bites, but if this were his only option he'd probably starve. I would have thought he'd enjoy it, as the kibbles are tiny and dense a look just right for chihuahuas. Go figure. This is a very high-quality food with an unusually high protein content. It merits five out of five stars on the Dog Food Advisor website, and is very allergy-friendly. I would feel comfortable feeding this to my dogs for an extended period of time, except Ru who would likely starve to death. I truly appreciate that Wysong's product information repeatedly states that feeding a single food continuously with no variation is not ideal. Variety is what we should really be striving for, even if allergies make that difficult. What I don't appreciate is this company's willingness to shout about how carbohydrates are literally killing our dogs while selling dog food made out of rice. Like they somehow didn't think I'd be smart enough to read all of their information and notice the glaring inconsistencies. I should probably email them about this one of these days. Sisci decided she needed to be in the picture too. To earn his Coursing Ability title, Brisbane had to complete three AKC lure coursing runs. Most clubs hold two "trials" on the same day, one after the other. This is because dogs are only permitted to run once per trial. Brisbane did his first two runs in the spring, so he got his Coursing Ability title on his first run in Hollister. This was a two-day event, so he did a total of four runs. The next coursing ability title, Coursing Ability Advanced, is awarded for completion of ten runs. If we do another two-day event and Brisbane doesn't suddenly lose interest in coursing, he will get that one on his last run. After that, Coursing Ability Excellent is awarded for twenty five runs, CAX2 for fifty runs, and the number at the end of that title goes up with every additional twenty five runs. Brisbane's official registered name is Brisbane Leave the Cat Alone CGC CA. Yay Briz! Where Are They Now: Toys We Had. That ear. I can't even handle it. Adara is a sweet, lovable, and intense pit bull type dog who, like most bully breeds, is tough on toys. I brought her a bag of our sturdiest unloved toys to enjoy, and she was thrilled. How did they hold up? The Dex & Penny Squeaky Stick arrived in our January BarkBox, and I failed to get a total of ten dogs to play with it over the course of six months. Adara loved it so much she gnawed the end off right away. It's finally gone! The XL Black Kong Extreme was probably a little more Kong than we currently need around here, especially since I was gifted a second one. This got filled with peanut butter for happy crate time. She hasn't made a dent in it yet. The PetProjekt Football Tretball requires a fair amount of force to flex in order to get the treats out, and my dogs are delicate little dewdrops who found it unappealing. Adara thinks it is the greatest toy ever. She loves rooting her nose into things, and with the football she finds treats while she's smooshing! Wysong Dream Treats are freeze-dried raw meat treats that come in disc-shapes. They produced with the same non-thermal technology as Wysong's Archetype foods, and are appropriate for dogs, cats, ferrets, and presumably other carnivores. Good For: Dogs with food allergies, since these are almost entirely made from rabbit meat. High-value training treats. Getting a picky chihuahua to actually ingest some calories. Smooshing into the grooves on the Everlasting Groovy Ball. Not Good For: Super-convenient training, since the hefty discs must be broken into pieces. Training while doing other things, since they must be handled like raw meat and therefore I need to wash my hands after touching them. How Much We Like Them: About as much as we like Stella and Chewy's freeze-dried raw food. The dogs really love it, but the food handling safety aspect somewhat limits its use for training. 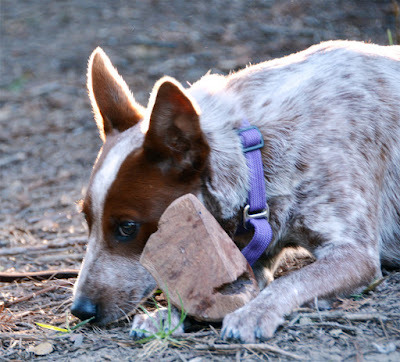 The Australian Stumpy Tail Cattle Dog is a little-known breed used in the development of the Australian Cattle Dog. Stumpies are primarily found working stock in the USA, and unlike the ACD they aren't recognized by the American Kennel Club. This means they are still primarily being bred for their working ability rather than their appearance or tendency to win conformation shows. They're a bit like a grittier, more intense ACD. 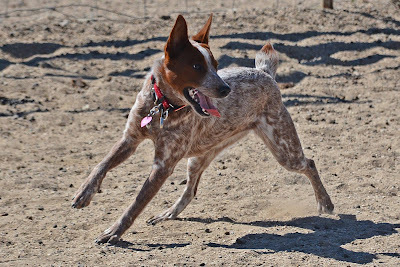 The most striking feature of the Australian Stumpy Tail Cattle Dog is their natural bobtail. Most of them are born with tails less than 4" long, though they occasionally have a bit more tail. 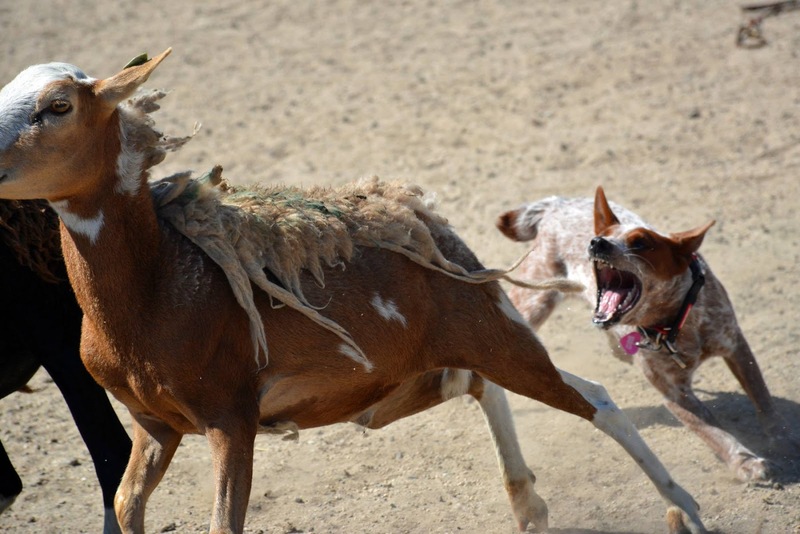 In comparison, Australian Cattle Dogs are supposed to have full tails. 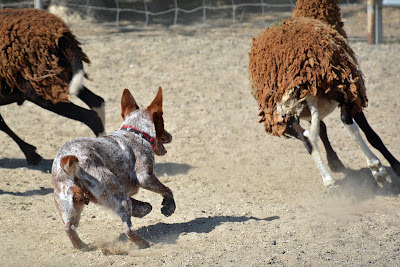 ACDs are not supposed to have their tails docked, but this is very common for working dogs in the USA. A possible explanation for this is that both breeds were imported from Australian to the American southwest at the same time, and early ranchers didn't realize they were separate breeds and though the natural bobtailed dogs had been docked. Another major differences between the breeds is the colors, tan points are only allowed on Australian Cattle Dogs and not stumpies. Therefore the ACD can be red ticked, blue ticked with tan points, or just blue ticked. The ASTCD can be all red, or all blue, but not both at the same time. Australian Cattle Dogs should be a bit longer from neck to tail than they are tall at the withers, giving them a rectangular outline. Australian Stumpy Tail Cattle Dogs are supposed to be equal in these measurements, giving them a square outline. This means stumpies have longer legs and shorter back than ACDs. Developed in the 1800's in Australia, stumpies supposedly predated the Australian cattle dogs with tails and were used in their development. Australian kelpies were also used to develop the ACD, this is where the tan points came from. Stumpies were not derived from kelpies, and do not have tan points. ACDs and ASTCDs have been crossbred quite a bit since the very beginning, and stumpies were in danger of going extinct as a distinct breed until the 1980's. The years of crossbreeding mean that an occasional stumpy with tan points crops up. Brisbane, Sisci and I are working on their novice Trick Dog titles. These are titles and certificates awarded for doing a variety of tricks and behaviors. These are a lot of fun, and something that can be earned even by dogs with serious health issues and behavioral problems. Brisbane has had back issues since he was a baby, so he won't be able to do every single trick on the list. That's ok though, he doesn't have to do all of them to get his title. The lower-level titles are earned on the honor system, you perform them for a witness who provides their information to the organization. I'm told that when the form is submitted, they usually contact the witness to verify that your dog can do everything you claimed. 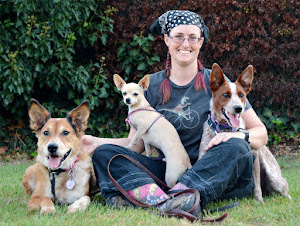 Do More With Your Dog also has support groups or teams that can be joined via Facebook. Rather than performing tricks in front of a witness, you can upload videos for your team to watch and have them sign off on your titles. I have friends who would happily sit and watch my dogs do silly tricks, but I like the feedback I am getting from the Facebook Spark Team. The trick is "Paws Up", I'm asking them to put their front feet on something. We started with the little stools because those are slip-proof and stable. From there, they had to learn that "paws up" means to put their feet on whatever I am pointing at, even if it is small, unstable, or weird. In this video we used a small balance disc and a jaguar skull aquarium ornament. When I take the dogs on outings, I often ask them to put their paws up on fences, rocks, tree branches, and whatever else we find. What tricks do your dogs know? One of our local pet stores recently began carrying a variety of Primal Nuggets raw dog food. We've tried Primal Pronto, the pelleted form, before. The nuggets come in a wider variety of protein sources, with a total of six different options for Brisbane and his chicken, turkey, duck, and egg allergies. Rather than small rapidly-defrosting pellets, Primal Nuggets are rectangular prisms of raw meat. Each weighs about 1 ounce and provides 39 calories. The food is 85% rabbit meat, bone, and organs. The other 15% is made up of things like squash, celery, collard greens, and vitamins. This is a single-source protein food that would be a good choice for a dog with food allergies. There are a number of fruit and vegetable ingredients, but these are less likely to be allergens. Of course, for a really serious elimination diet you would want to be feeding straight rabbit meat. Primal Nuggets predate the Pronto pellets, but they are smaller than the patties I fed Brisbane when he was a baby. I actually found them to be nearly as convenient as the Pronto, Brisbane and Sisci would both happily eat them frozen. The nuggets didn't stick together in the bag so I could just grab a couple, toss them in a bowl, and serve them up immediately. Of course this would never work with Ru, as refrigerated food makes him shiver uncontrollably and he definitely won't touch anything frozen. He's not a fan of raw food in general because it's always cold. The Primal website specifically states that their food should be fully defrosted before serving, but I have been feeding Brisbane frozen meat for a decade with no issue that I can see. Frozen or defrosted, raw or cooked, fresh or kibble, it all comes out looking the same. The how-to-feed page also uses the term 'toxins' without specifying what substances they are referring to, which usually means they have no idea and are just throwing the word around. Like all raw foods, Primal Nuggets are fairly expensive. That said, my dogs don't eat a ton and I'm not using this as their entire diet. It's definitely a worthwhile food to have in the rotation, and is something I would be comfortable feeding for an extended period of time. It's a great option for dogs with allergies, and awesome for rotating between protein sources. Brisbane can have their rabbit, venison, pheasant, pork, beef, lamb, and beef and salmon foods, and I would definitely be comfortable rotating through those on a permanent basis if I had to choose just one food for some reason. Primal frozen foods are rated five out of five stars on Dog Food Advisor, with the chicken and lamb formulas meriting four stars due to their high fat to protein ratio. Have you fed your dog raw food? What type? 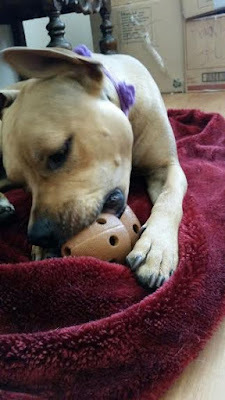 The Petmate JW Pet Playbites Donut is another puzzle toy from the Playbites series. This is a clattering-type toy intended to be filled with small treats like kibble. The outer edge is one continuous slit, and stuffing in treats larger than the opening provides quite a challenge. I can fit maybe a quarter cup of kibble in this small one. The continuous slit means I can't wedge a funnel in there to speed things up. This took visiting dog Annie several hours to empty. Brisbane can empty it pretty quickly, but for the amount of food it holds it takes quite a while. This is the smaller size, about 4" in diameter. It's small enough for Ru to use. The larger one is 6" across, big enough for a medium dog or a less destructive large dog, but I wouldn't give to a Great Dane. It will probably hold up to almost anything but deliberate destruction. Natural rubber, hollow and flexible. Silent on my hardwood floors. Small enough to get shoved under the furniture, but at least it doesn't roll. There aren't any major crevasses, but it's not exactly easy to scrub. So far all my visiting dogs have enjoyed the Playbites Doughnut, and so does Xhuuya the raven. 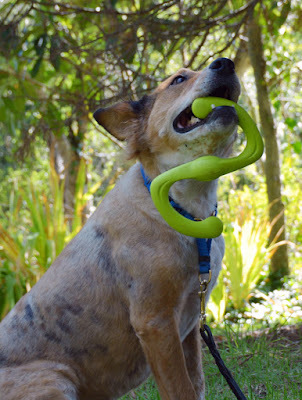 The Zogoflex Bumi is a durable dog toy from West Paw. 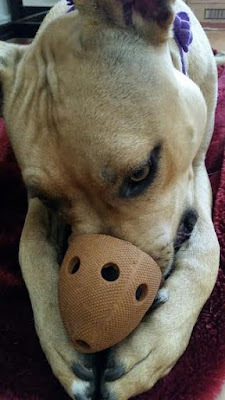 Intended for games of tug, it is throwable, chewable, and recyclable. It stretches, floats, and is easy on the teeth. As an added bonus for some dogs, it can be shaken wildly so that the ends thwap them in the face. The Bumi comes in two sizes, the large is about an inch bigger than the small. This arrived in our highly disappointing May BarkBox, and I was not happy to see it. Brisbane really doesn't like solid rubber toys, and will only hold it to be polite. 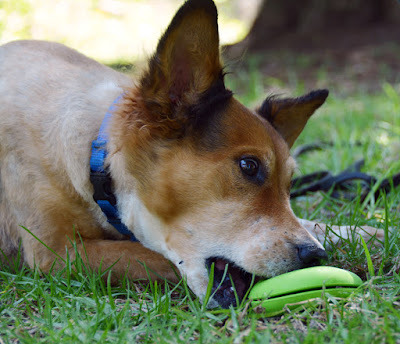 The Bumi doesn't squeak or make any noise at all when he bites it, so he just doesn't see the point. Sisci, on the other hand, thinks the Bumi is pretty cool. She is determined to play with all the toys, and absolutely must carry something around when excited. She thinks the Bumi is very nice to gnaw. 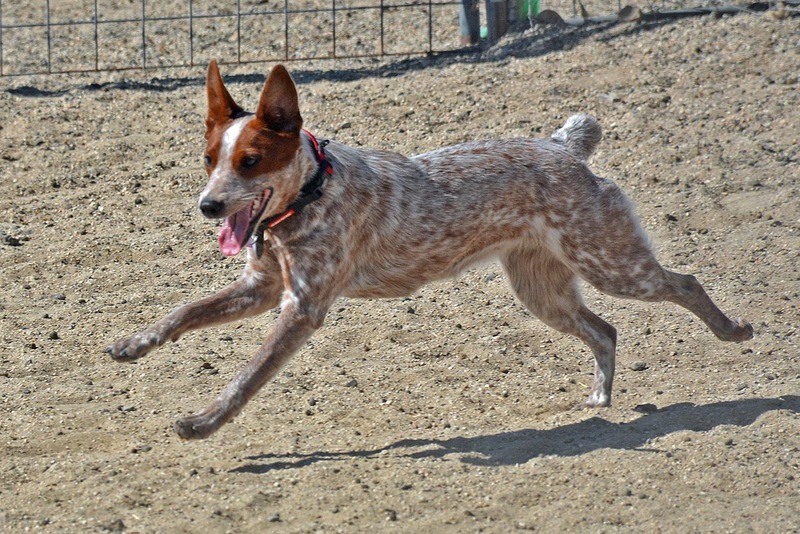 When thrown end over end, it skips across the ground in a way that is lots of fun to chase and bite. This is the smaller of the two sizes, and it's still bigger than Ru. He ignored the Bumi completely until Sisci started playing with it. Ru loves to play tug with Sisci, sometimes she even notices and plays along. The shape of the Bumi is just right for Ru to grab and end and run along with her. They can even gnaw on it at the same time, which is excessively cute. Pros: Super durable. 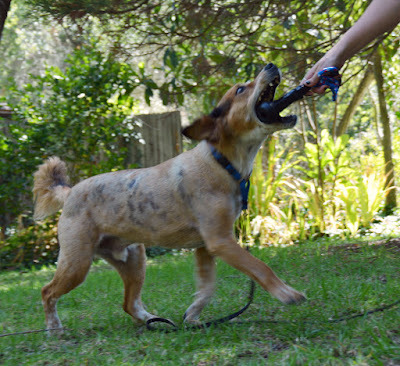 Stretchy to absorb shock during vigorous tug games. Stands up to a decent amount of recreational chewing. Easier on the teeth than rope tugs, and it lasts longer too. soft enough for indoor play on noisy hardwood floors. Provides places for multiple dogs to grab. Cons: Won't stand up to a power chewer on a mission of destruction. Does not come in a size suitable for tiny dogs. 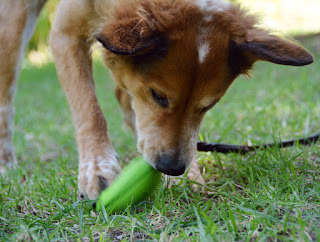 Bottom Line: I appreciate the Bumi a lot more since Sisci and Ru started using it for the most adorable tug games ever. 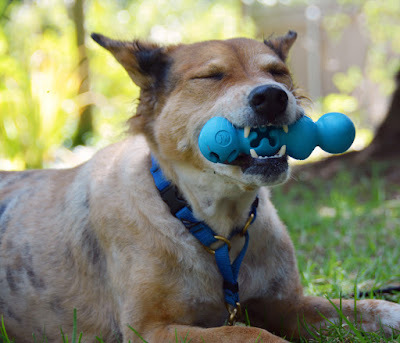 What is your dog's favorite tug toy? Coconut flour/beef babyfood/coconut oil: It has been super hot here for the last several months with no sign of cooling off anytime soon. It has been so hot for so long that I forgot what coconut oil does when it gets cold. Like most fats, coconut oil turns to a nice hard solid when refrigerated. This batch of pill treats went from perfect texture to rock hard once I stuck them in the fridge. We still used them, but I had to let them sit out or roll them around in my hands a bit before I could squish the pills into them. Coconut flour/bacon/bacon fat: Guess what else goes hard in the fridge? Bacon fat! These were definitely a lot tastier than the babyfood ones, but I ended up adding some peanut butter to get the texture right. DIY pill pockets in all their lumpy glory. Rice flour/Steak/Liver/Bone Broth/ Peanut Butter: I just made a huge batch of these and forming them into little pockets took forever. I tried adding a bit of xanthan gum to see how it changed the texture, but I don't think it did much. Maybe next time I'll add some gelatin for curiosity's sake. Yet again, I didn't set out to make these peanut butter treats, but I ended up adding it to help with the texture. My ideal pill pocket texture is as close to the freshly-opened Greenies Pill Pockets as I can make it. This is a lot like playdough, it needs to stick to itself and be easily squished from one shape into another, but not be so sticky that the tub of them turns into an amorphous blob. This latest batch really didn't stick to itself, it resisted being rolled into shape and instead had to be smooshed rather firmly. I know that cream of tartar is what gives a homemade playdough its distinctive texture, maybe I should try that next. 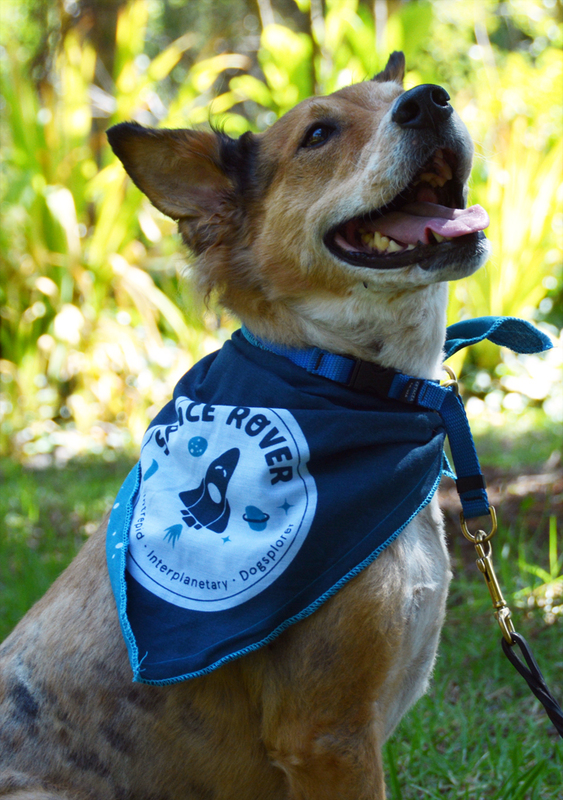 The BarkShop Space Bandana is a fabulous addition to our wardrobe. It is reversible, with a Space Rover logo on one side, and a fantastic star pattern on the other. This is a triangular scarf and can be folded and rolled to fit just about any dog. I love bandanas. I have autoimmune-related hair thinning, and I very rarely go anywhere without something on my head. I have a drawer full of bandanas and scarves, and an entire wall of hats to choose from. I don't put bandanas on my dogs quite that often, partly because I haven't had a great selection of things to dress them up. I'm kind of a hipster about life in general, and I've always found paisley to be entirely too mainstream. Brisbane has a skull and crossbones bandana that he wears occasionally, but that was it until BarkBox started sending us stuff. I love all things sciencey, and the June space-themed BarkBox seemed like it was made just for us. Brisbane doesn't like wearing most clothes, but he's perfectly happy to show off a flashy bandana. This is among my favorite things we have received in a BarkBox. Pros: Super cute. Science-themed and awesome. Like looking into the universe. Cons: Might be too big for Ru, unless I tie it into some sort of sarong wrap. Bottom Line: IT'S BRIIIIIIIZ IIIIIIIIN SPAAAAAAAAAACE!!!!! 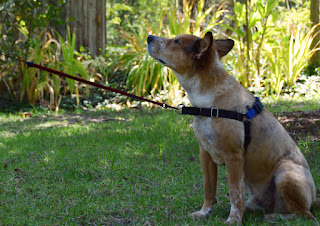 Bad Idea: Why Can't I Use a Flexi Leash with an Easy Walk Harness? The PetSafe Premier Easy Walk harness is great for preventing dogs from pulling like sled dogs on walks. 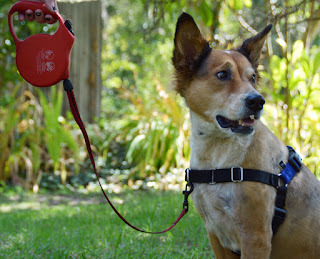 Flexi retractable leashes are great for letting dogs have a little more freedom without a long leash dragging on the ground or tangling in their legs. Why not combine them and give the dog the freedom of a long leash without getting dragged all over the neighborhood? Well I guess you can use them together if you want to, but it's not very nice to your dog. You see, the Easy Walk harness is designed to make leash pressure inconvenient and uncomfortable, and the Flexi leash exerts constant pressure. The result is that the dog learns to ignore the signals given by the harness because pulling is actually a good thing. Using a retractable leash with a no-pull harness means the dog feels a constant unpleasant sensation. they do not go slack. Constant tension from the handle to the dog ensures that the leash never drags on the ground, keeping it clean and dry. 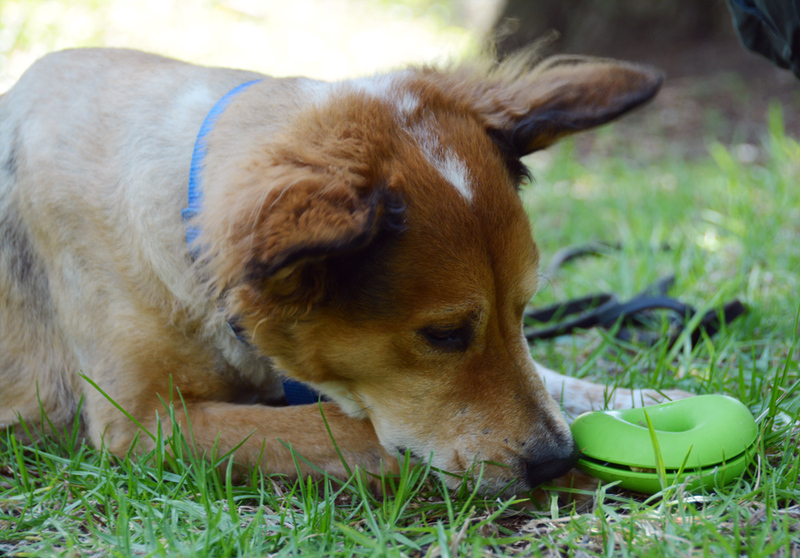 The bulky plastic handle of a retractable leash houses a spring and a wheel. Unless the brake is pressed, the spring exerts continuous pressure on the wheel causing it to roll the leash back into the handle. This is what causes an unclipped Flexi leash to go flying back into its handle. Unless the brake is presses, the spring also exerts continuous pressure on the dog. It's not a lot of tension, but it is ever-present tension. 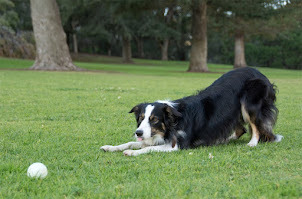 In order to extend the leash and get wherever they want to go, dogs learn to pull on the Flexi. The leash is constantly pulling on them, so there is no way for them to walk with no pressure. Just pull against it, and the leash will get longer most of the time. Unlike other front-clip harnesses, the EasyWalk tightens up across the front when leash pressure is applied. This causes squishes the shoulders and alters the dog's gait. It makes them walk funny. That's not fun, so the dog learns to keep the leash slack so he has freedom of movement. It's hard to walk while pulling in an Easy Walk harness. 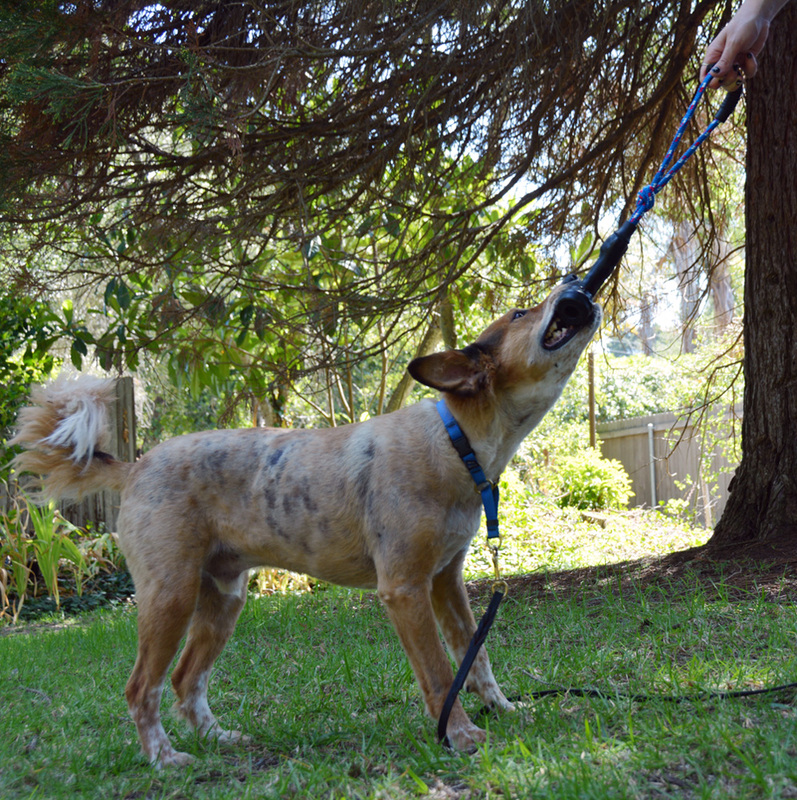 A Flexi leash constantly pulls on the dog. Plenty of dogs learn to ignore the feeling, walk funny, and pull as much as they can in the harness. This defeats the purpose of using a no-pull harness. It's also not great for their bodies. Easy Walk harnesses restrict shoulder movement, causing the dog to put more weight on their back end. Using a retractable leash with constant tension probably exacerbates this effect. While it's not always noticeable, sore hips, knees, and backs don't need to be carrying more weight than necessary. The Moo To You Udderly Fun Tug is made out of milking machine parts. The rubber bits have definitely spent prolonged contact with cows, these are bits that attach to the udders. They are clean, but presumably full of cow essence. My cattle dogs certainly adore them. There are multiple sources of milking machine part dog toys, this one came from a dairy farm in Maine. I first heard about tug toys made out of recycled milking machine parts a decade ago, but back then there was only one person selling them and they had to be ordered online. Fast forward a few years and they're becoming more and more common. I found this one at the Dog, Dog, Cat store in Tahoe. So what is this thing made out of, exactly? We all know that cows are mostly milked by machine these days. The bits that actually touch the cows are called "milking inflations". These rubber tubes delicately massage the udders, and over time they lose some of their flexibility. Obviously nobody wants stiff rubber milk inflations massaging their udders, so these parts need to be replaced often. What's a dairy farmer to do with all those food grade, made in the USA rubber parts? Tie a rope through them and make a kickass dog toy! It's safe, non-toxic, made, milked, and assembled in the USA, and keeps all those rubber milk inflations out of trash. What's not to love? Of course, the tubes are cleaned and sanitized before they are turned into dog toys, so they don't smell like cow or carry any risk of disease. The long skinny part of the tube is usually cut off and used as a comfortable handle. Pros: Made in the USA by a dairy farmer on a dairy in Maine. Food grade rubber tube made in the USA. Doesn't smell like cow to me, but totally does to the dogs because they have amazing noses. Simple and durable. Cons: Hard to find in stores. Not for unsupervised missions of destructive chewing. Bottom Line: I feel this is a very appropriate toy for my cattle dogs. The cattle dogs agree. Wellness Core is the grain-free product line from Wellness. I grabbed this can of Beef, Venison and Lamb Formula in a hurry, and apparently I didn't read the label very well because it's made out of chicken. Pretty much all Wellness food is made out of chicken, even the ones that say something else on the label. Once upon a time, two decades ago, I fed my cocker spaniel Pedigree dog food from the grocery store. As I've mentioned before, when I learned that there was better dog food out there, I decided to feed her the highest-quality dog food I could find. The internet dog community was buzzing about Wellness, and how it was the best food out there. Oakley was ten years old by then, so I switched her to Wellness Senior. 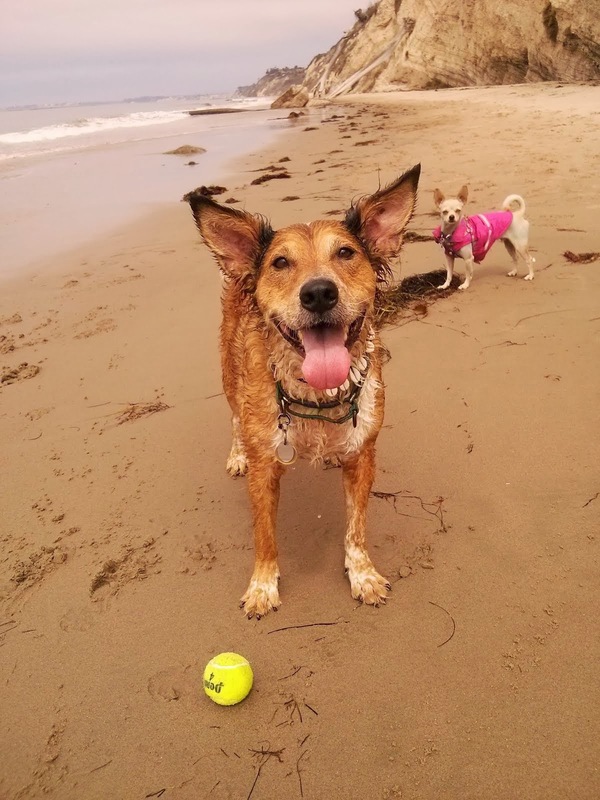 Oakley eventually refused to eat kibble at all, and ate homemade raw food for the last two years of her life. Eventually other dog food companies would surpass Wellness in my esteem, but they did manage to update their product line as grain-free food grew in popularity. They make good food, but the reason Wellness is not part of our food rotation is because it all contains chicken. Brisbane is allergic to chicken. turkey, duck, and eggs. The reason I missed the chicken in the ingredient list is because it was pretty far down. But there it was, chicken meal. Curse you, Wellness. I don't normally feed Sisci or Ru foods with Brisbane's allergens either. Sisci isn't great about getting every crumb of her food, and Ru won't eat most poultry. True to form, Ru refused to eat the Wellness Core canned food. Sisci thought it was ok, but she wasn't crazy about it. I'm sure Brisbane would have would have inhaled it given the opportunity, but he'll eat anything. Despite having sneaky poultry in it, this is a good dog food. It merits five out of five stars on Dog Food Advisor. The Dog Food Guru website states that Wellness has been sued for their use of the term "human grade ingredients" on their labels, but they won in court by proving their claim. They do use a co packer, a third party makes the food for them. This is why they were part of the 2012 Diamond Pet Food recall. Aside from that, their history is squeaky clean. I just wish they'd make more Briz-safe foods. The All Seasons Dog Robe is a warm fleece blanket-style coat that is both warm and light. It may be worn by itself or as an insulating layer under a waterproof shell. It is available in eight different colors and eight sizes to fit dogs measuring 8-26" from neck to tail. 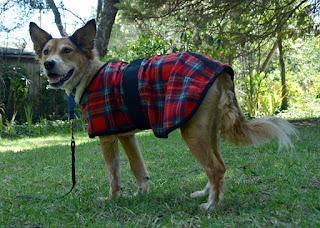 I've seen All Seasons dog coats in a number of different horse tack shops, probably because they look just like horse blankets. This robe is not waterproof, and it's really quite thin. I think that's why Brisbane likes it. This was what he wore most often when he was chilly after the dramatic shavedown. These blankets are very durable and easy to fit, but they don't offer much in the way of adjustment. The belly strap has a decent size range, but the neck is a fixed size. Since Brisbane has a long back, having a long enough coat means the neck is huge on him. I could probably take it in by at least 6". This causes it to slide down his shoulders and restrict his movement a bit. Pros: Warm, light, and versatile. Easy to put on and adjust. Comes in very small sizes. Very durable. Doesn't look like people clothes, if the idea of dressing your dog up troubles you. Cons: Only fits standard dog-shaped dogs, with little to no accommodation for long backs, wide chests, and other weirdness. Bottom Line: I've been planning to sew the neck smaller for the last nine years. This has not prevented Briz from wearing it, though. It's nice, simple, and comfy. This Wooly Fun Ball from One Pet Planet didn't impress me much at first. It's a ball made out of felted wool. Nothing more. Just a solid sphere of wool, slightly larger than a tennis ball. It doesn't squeak or hold treats or anything. As it turns out, a ball of wool is a lot of fun to bite. Brisbane thinks it's ok, and several of my foster and guest dogs have really enjoyed it. We ended up leaving it in the yard for a while, and it remained as colorful and wooly as ever. I've had a bit of trouble tracking down the company that makes the Wooly Fun Ball. So far the only online presence of One Pet Planet appears to be the website for their toy-launcher, the Slinger. It looks a bit like a stick and only throws their proprietary toys, making it look significantly less attractive than my Chuckit launcher which throws anything vaguely shaped like a tennis ball. Pros: Super earth-friendly. Biodegradable, sustainable, made with non-toxic dyes. Fun to bite. Made out of sheep. Cons: Doesn't squeak or making squooshy noises. Takes forever to dry if it gets wet. Bottom Line: I'm not sure where the Wooly Fun Ball is right now, I think Sisci took it outside again. I'm sure it will turn up somewhere...or just biodegrade in the yard. I guess I don't really have to feel bad if we lose it outside somewhere since it should break down eventually. Good For: High-value training treats for Brisbane that don't make my hands yucky. Teaching new tricks and working in distracting environments. Not Good For: Picky dogs, I'm looking at you Sisci and Ru. How Much We Like Them: See how the bag is nearly empty? These make fabulous and convenient Briz-training treats. 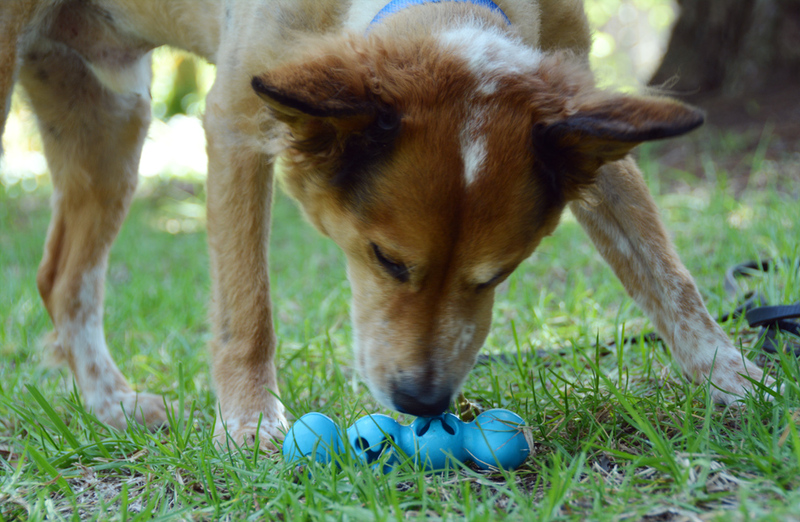 The Jolly Pets Teaser Ball is a unique toy that combines a ball with, you guessed it, another ball. 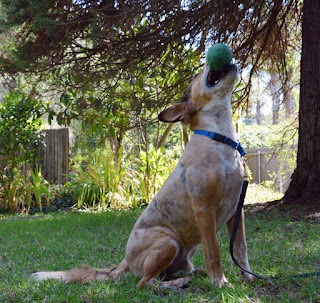 The idea is that dogs will spend literally hours trying in vain to remove the inner ball. Both the inner and outer balls are made from hard, durable plastic, so the toy rattles quite a bit when moved. 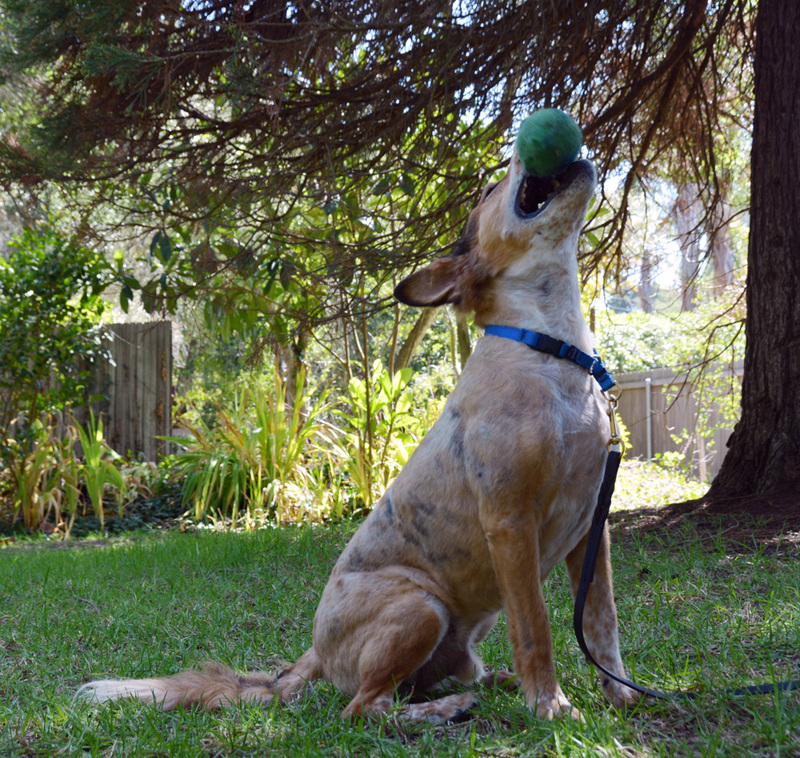 The Teaser Ball comes in four sizes for tiny through enormous-sized dogs. These have been around for quite a while, and I know a few dogs who absolutely adore them. I've never been entirely certain why, though. 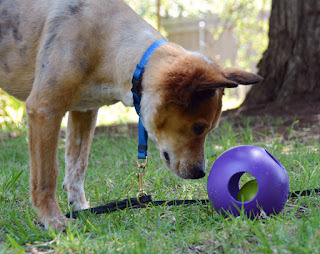 The inner ball cannot be removed, you'd think the dog would figure it out in short order. Still, dogs who love the Teaser Ball, LOVE it! They love to shake it, fling it, and bat it around with their paws. They also love to chew it, and this doesn't always end well. The plastic isn't tooth-breaking hard, but it is rigid and tends to form sharp ridges and points when gnawed. A coworker's pit bull has to be carefully supervised with her Teaser Ball and stopped before she makes herself bleed too much. My dogs? They figured out immediately that the inner ball couldn't be removed, and promptly lost interest. Not even Sisci the puppy will play with it. I've put it away for the time being, we'll get it back out again in a few weeks and see if it becomes fresh and exciting. Pros: Strangely exciting for some dogs. Hours of high-energy fun. Very durable, stand up to a ton of rough play. Very popular with retrievers, bulldogs, and other rough and tough types of dogs. Cons: Hard plastic becomes sharp when chewed. Heavy toy can damage walls, furniture, and pretty much anything inside the house if used indoors. Not all dogs find it amazing. Bottom Line: I think my dogs are too smart for this toy. We'll stick with our regular Jolly Balls. The Conair Pet-It Curry Comb is part of Conair's line of brushes designed to be held in the palm of your hand. This one has flexible rubber fingers for massaging the skin and coat. It is smaller than most similar grooming tools, and suitable even for tiny dogs. It comes in yellow from a variety of retailers, and pink exclusively from PetSmart. 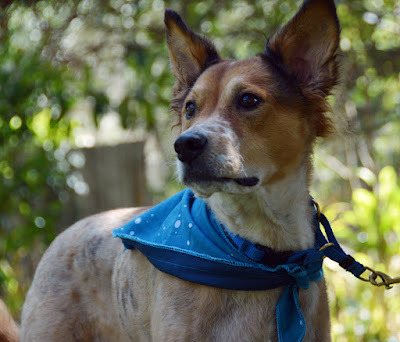 When Brisbane had his dramatic shavedown, the vet recommended I wash him every few days in an anti-fungal shampoo. She instructed me to scrub his skin really well with a rubber curry comb to help work in the medicine. I couldn't find either of my old rubber curry combs, so I grabbed this one while we were at PetSmart. It fits nicely with my pink and purple grooming stuff, and I like my pink Conair nail clippers a lot. The size of this rubber curry is really nice, it's actually smaller than Ru. I wouldn't feel ridiculous scrubbing a maltese with it. Pros: It's pink! Palm design makes it easy to hold securely even when wet and soapy. Small dog friendly. Cons: Clear plastic is tough to keep clear, it tends to collect soap scum and looks gunky unless I devote some time to actually scrubbing the brush itself. Bottom Line: I found my Kong Zoom Groom brush yesterday, but I think I'll keep this one in the grooming bag anyway. It works better for Brisbane and his sensitive skin. Ziwi Peak's Daily Dog Air-Dried Cuisine provides all the convenience of kibble, but is made almost entirely out of meat. It is highly-palatable and not unlike feeding my dogs jerky, so they think it's amazing. I have yet to encounter anything like this before, it's not freeze-dried, nor is it a dehydrated powder. There is no need to add water, and it does not need to be refrigerated either. I found this food at a shop in a nearby town. The name was familiar, but I had never actually taken a look at their food. I'm glad I did, because this stuff is amazing! It makes the best training treats ever. The dogs all love it and will eat it in almost any circumstance, it doesn't crumble, smell bad, or make my hands all gross. As far as I'm aware I don't have to treat it like raw meat, either. There aren't any warnings on the website or packaging about handling safety. The ingredient list is pleasantly short. We have the beef version, which consists of meat with ground bone, organs, green-lipped mussel, and that's pretty much it. There are some vitamins, a little kelp and parsley, but this food is basically meat. That's amazing! What's not so amazing is the price tag. Naturally, good food isn't cheap. This 2.2 lb bag cost me a little over $30. Measuring the food is a bit interesting, it comes with its own 2oz scoop. The bag and website both have feeding calculators that, of course, tell me to feed my dogs way too much. One scoop of food contains about 279 calories. According to the feeding calculator, Ru should be eating 3/4 of a scoop per day, Briz should be getting 2.5 scoops, and Sisci should be getting a little over 3 scoops. Brisbane and Ru both seem to need around 100-150 calories per day, so they actually only get half a scoop. Sisci seems to need around 400-600 calories, so she would get around 2 scoops. The 2.2 lb bag contains about 18 scoops, that would be a month worth of food for Brisbane by himself. It's a little over two weeks worth of food for Briz and Ru together, and would only last us six days if I decided to feed this exclusively. For Briz by himself, it wouldn't be terribly cost-prohibitive at less than a dollar a day. At $1.78 per scoop, Sisci would cost me about $3.50 a day to feed though, and closer to $6 a day if I were feeding her what the package recommends. Fortunately, ZiwiPeak also sells a 5.5 lb bag which should contain approximately 45 scoops of food. Unfortunately, the price per ounce appears to remain the same. It goes down to about $1.60 per scoop, but that's not a dramatic reduction. This is an expensive but very high-quality food. Dog Food Advisor gives in five out of vie stars across the board, with a brief mention of an unpleasant interaction with the company's customer service. While many customers seem to have had wonderful experiences, it's possible that ZiwiPeak doesn't like dealing with difficult questions from the extremely well-informed. The JW Playbites Caterpillar by Petmate is a durable, chewable toy that has for treat-holding segments. This is a natural rubber toy that is intended to stand up to some actual gnawing. It comes in various colors and two sizes for dogs. So far the caterpillar has only been used a treat dispenser around here, nobody has felt the urge to really chew on it. They have had quite a lot of fun emptying it out, though. Each segment has an x-shaped opening, and each opening is on a different side. This is definitely a chew toy that can hold treats, it's primary purpose is not dispensing food. There's no way I could feed meals out of it, but the caterpillar makes a fun project for a crated dog. Sometimes I stick a few pieces of kibble in it when the dogs aren't looking and then leave it for them to discover later. We have the smaller version of the Caterpillar, and I can only fit a few kibbles in each segment. Way less than 1/4 cup. I have to shove each treat in one by one, but not many fit so it doesn't really take long. My visiting cattledog friends often spent quite a while on this project without getting every treat out. Brisbane has to think about it a little, but he can empty the caterpillar out in a few minutes. Ours is a medium, but the large caterpillar is over a foot long and 4" wide so it should be fine for very big dogs. This is made out of the same stuff as Cuz balls, so it can handle everything but a power chewer. The caterpillar is sturdy rubber, but not really heavy enough to make a ton of noise on our hardwood floors. It rolls quite a bit and fits under the furniture so it is prone to disappearing. It's intended for dry treats so it doesn't get too dirty. It's actually not terrible to scrub out either. The only issue is drying it, there's no way to set it so the holes can all drain at once. I have to turn it a few times before it will dry out completely. The size of this toy makes it suitable for a variety of animals. The caterpillar is also a favorite of our friend Xhuuya the raven, who loves to wrestle nuts out of the segments. 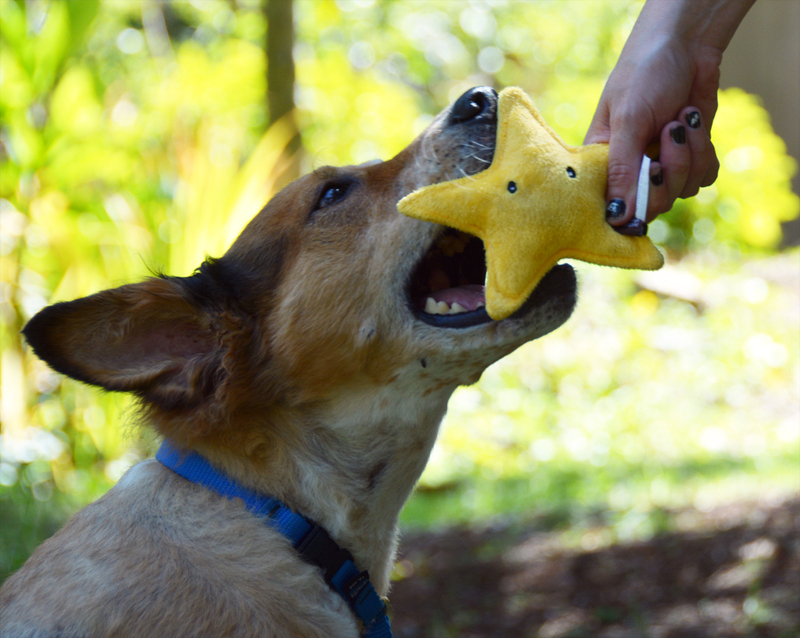 This totally adorable star stuffy from Pets Lifestyle and You arrived in our June space-themed BarkBox. Like all the P.L.A.Y. plush toys we've acquired so far, this one is exceptionally durable and well-made. It is a smaller stuffy, for small and medium-sized dogs. There is also an extra-small size for extra-small dogs. According to the dogs, this is the best thing that arrived in our June BarkBox. Ru loves to carry it around, and Brisbane also finds it irresistible. It's quite a bit smaller than most of our plush toys. For all the love it has gotten, our P.L.A.Y. star still looks brand new after a quick trip through the wash. The fabric is very thick and the seams are heavily reinforced. While it won't stand up to heavy chewing, the star seems able to withstand an infinite amount of chomping and squeaking. Pros: Durable. 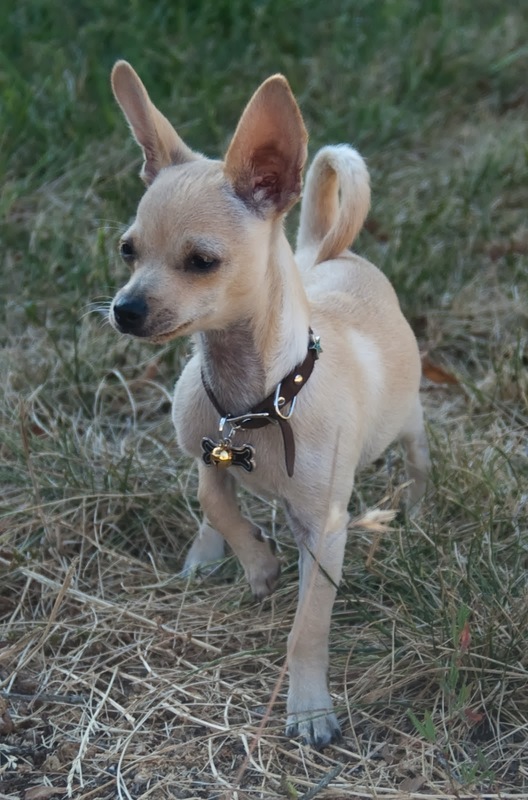 Small enough to be non-threatening to timid dogs. Apparently screams "carry me around!" to dogs of all sorts. Cons: A bit small for anyone bigger than 40lb Brisbane. Bright yellow color shows a lot of dirt. Bottom Line: So cute I won't get tired of seeing it all over the house. Zukes describes their Genuine Jerky Treats as real "jerky strips" but I beg to differ. There were no strips in there. These are more like little jerky bits, which make them better for training. I don't mind, but I think it's worth noting. I found them on sale at a local pet store that knows I will totally buy a bag of treats on sale if they mention it as they're ringing up my purchases. These are 100% beef and therefore safe for Brisbane's poultry and egg allergies. The ingredients list includes things like brown sugar and apple cider vinegar, which makes me wonder how these treats taste. I bet they taste like regular beef jerky for people. Maybe with a bit less salt. I should get my husband to try them and report back. Good For: Mid- and high-value training treats. Sticking in some food toys. Playing find-the-treat. Not Good For: Turning into a squintillion tiny treats for clicker training. Possibly my husband. How Much We Like Them: I don't have a whole lot of use for non-tiny training treats. I should stuff these in the grooves of the Everlasting Groovy Ball.